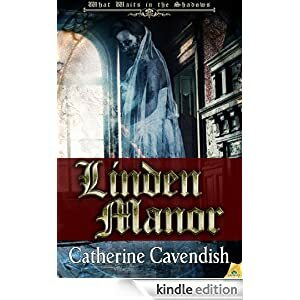 My good friend and talented writer Catherine Cavendish has signed on with Samhain Publishing and today Linden Manor, her Samhain Gothic Antho. Competition Winner is published! Catherine is a prolific writer of acclaimed horror novels and short stories (just take a look at her Amazon page: Amazon Page and her blog). I am often asked whose influence has had the greatest impact on my writing. This is a difficult question because, over the years, so many great authors have impacted on me and, in one way or another, overtly or subliminally, my writing has been influenced in one way or another. One of the earliest of these was undoubtedly the master British ghost story writer, M.R. James. Montague Rhodes James was born on 1st August 1862. He was an academic - medieval scholar, provost of King's College Cambridge (1905-1918) and subsequently of Eton (1918-1936). He grew up in Suffolk, which he subsequently used as a location for many of his stories. To this day, he is widely respected for his academic work. This included his discovery of a fragment of manuscript which led to excavations of the ruins of the abbey at Bury St Edmunds, where the long lost graves of a number of twelfth century abbots were discovered. He also catalogued many of the manuscript libraries of the colleges of Cambridge University and translated the Apocrypha of the New Testament. But the wider world remembers him for his wonderful short stories, which were originally published in four collections: Ghost Stories of an Antiquary (1904), More Ghost Stories of an Antiquary (1911), A Thin Ghost and Others (1919), and A Warning to the Curious and Other Ghost Stories (1925). 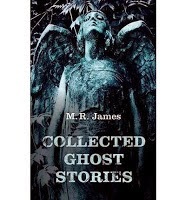 In 1931, they were first collated into one volume: The Collected Ghost Stories of M.R. James. M.R. James taught me the power of the short story. Some of his are only a couple of pages long but they pack a whole story into precious few words. Many of his stories were written with an eye to being read aloud, in small intimate gatherings, with the candlelight flickering and the fire crackling. His style is in keeping with that of an author writing in the late nineteenth, early twentieth century, yet is perfectly accessible to us now. His stories are original, lacking the clichéd settings of some of his contemporaries. He puts ordinary people (many of them academics like himself) in extraordinary situations and sets the scene around them. We were a couple of hundred yards from the hill when Long suddenly said to him: ‘I say you’ve left your coat there. That won’t do. See?’ And I certainly did see it — the long dark overcoat lying where the tunnel had been. Paxton had not stopped, however: he only shook his head, and held up the coat on his arm. 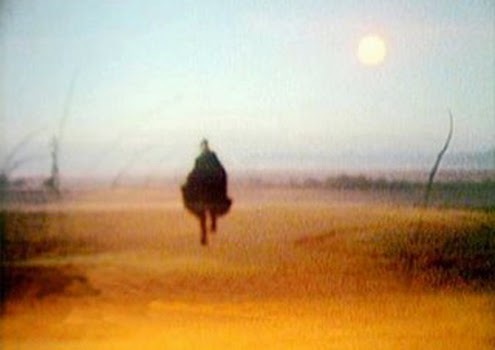 And when we joined him, he said, without any excitement, but as if nothing mattered any more: ‘That wasn’t my coat.’ And, indeed, when we looked back again, that dark thing was not to be seen. features: Ghost Stories for Christmas. 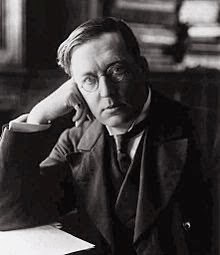 M.R.James died 8th June 1936 in Eton and is buried in the town cemetery. His work lives on - perfect examples of the British ghost story at their most chillingly entertaining. Have you ever been so scared your soul left your body? All her life, Lesley Carpenter has been haunted by a gruesome nursery rhyme—“The Scottish Bride”—sung to her by her great grandmother. To find out more about its origins, Lesley visits the mysterious Isobel Warrender, the current hereditary owner of Linden Manor, a grand house with centuries of murky history surrounding it. But her visit transforms into a nightmare when Lesley sees the ghost of the Scottish bride herself, a sight that, according to the rhyme, means certain death. The secrets of the house slowly reveal themselves to Lesley, terrible secrets of murder, evil and a curse that soaks the very earth on which Linden Manor now stands. 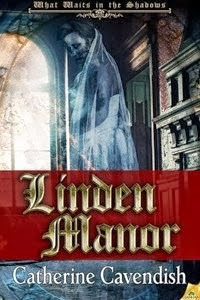 But Linden Manor has saved its most chilling secret for last. Catherine Cavendish is joint winner of the Samhain Gothic Horror Anthology competition 2013. Her winning novella – Linden Manor – is now available in all digital formats and the print anthology will be published in October. She is the author of a number of paranormal horror and Gothic horror novellas and short stories. Her full length novel, Saving Grace Devine, will be published by Samhain Publishing in the summer. She lives with a longsuffering husband and mildly eccentric tortoiseshell cat in North Wales. Her home is in a building dating back to the mid-8th century which is haunted by a friendly ghost who announces her presence by footsteps, switching lights on and strange phenomena involving the washing machine and the TV. When not slaving over a hot computer, Cat enjoys wandering around Neolithic stone circles and visiting haunted houses. Thank you for hosting me today, Sue - and helping me celebrate my new release!